Nowadays people often use social media to meet and chat with new friends. Yes, Facebook is one of them — most people use it to meet new friends while some create a fan page to increase popularity. However, for those who create a Facebook fan page to spread their influence, some still have no idea how to make it more attractive and entice more visitors to visit them. Now the question is, how can this be achieved? What can you do to increase the visitors of your Facebook fan page? Check out some effective methods to build an attractive Facebook page! The cover image is probably the first thing a visitor sees when he or she reaches your FB fan page. Thus it’s important to have a cover image that is unique and attractive, and preferably capable of creating a long lasting impression. In other words, a beautiful and creatively designed cover image can make your visitors remember and probably come back for more. Don’t know how to create a beautiful cover image? Today, creating a beautiful cover image is no longer a tough job. Software like Canva can make your life easier by providing easy design experience with tons of templates and samples. Moreover, it is free. Profile pictures also play an important role in creating the first impression to your visitors. You may upload the existing logo of your company, or create a new one for your profile picture on your fan page. Visitors tend to remember your business name and logo if the design and message you wish to deliver is simple and clear. This can help in your branding efforts. To create a good and eye catching logo, there are tools that can help you to complete this challenging task. Tools like logomakr and freelogodesign provide drag and drop design platform for you to design your own logo. There are lots of templates provided for your reference too. This move can make your facebook fan page more valuable! Whenever someone visits your Facebook fan page, he or she can give you a rating. With this, you can find out how much your visitors like your ideas — the best indication on how to make your fan page more interactive and better. This is one of the best ways to get feedback from your visitors directly. Check out some of the most liked pages on Facebook, and you will notice that they share many interesting updates. If you can’t keep your facebook page active and interesting, you will lose many visitors and they may never come back to visit your facebook fan page again. So, make sure the page is always updated and stay away from being boring. It’s usually recommended to post 1 to 2 posts every day. Some of the fans might feel annoyed if you post too many posts every day, and this can negatively affect post engagement. So remember not to update too frequently in a single day as it can bring negative effects. When you set up a quiz contest on your facebook fan page, it makes people want to follow your fan page regularly. For example, you can organize weekly or monthly quizzes to encourage your followers to visit your page regularly. Moreover, you can ask some interesting and creative questions in the quiz so that your visitors will be surprised and look forward to seeing them. By setting up a poll on Facebook page, we can find out what our followers think about our page. Your Facebook fan page can even offer some events or rebates to the visitor so that it becomes more attractive. Audience polls help us to understand more about the needs of our visitors, and are very effective for us to find out the reaction of our audience. Moreover, we can use the result collected from the polls to understand our weaknesses, and make changes to improve. In conclusion, a good facebook fan page can offer many benefits to your business. 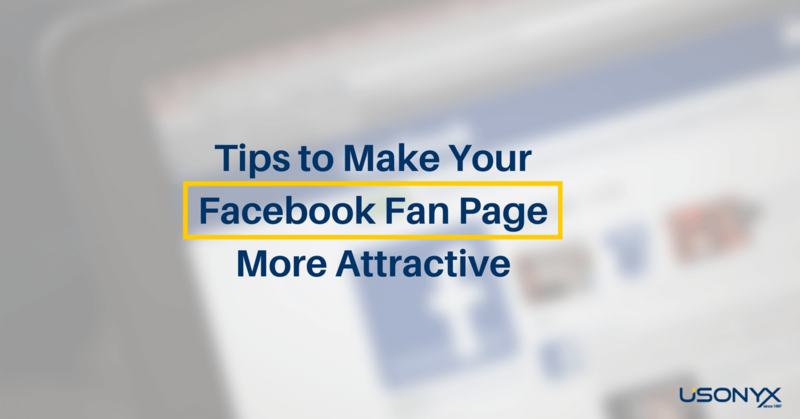 To have a successful fan page, much effort is needed to manage the page properly. Creativity is also a key! So we hope these suggestions are useful in helping you to make your facebook fan page more attractive and entice more visitors.